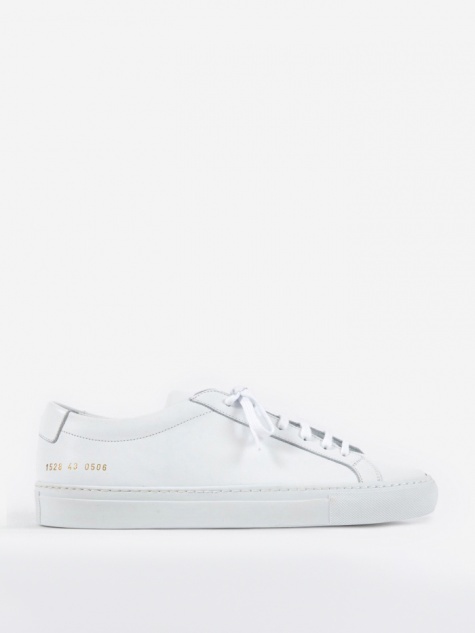 Common Projects is a collaborative project between art director Peter Poopat and Creative consultant, Flavio Girolami. 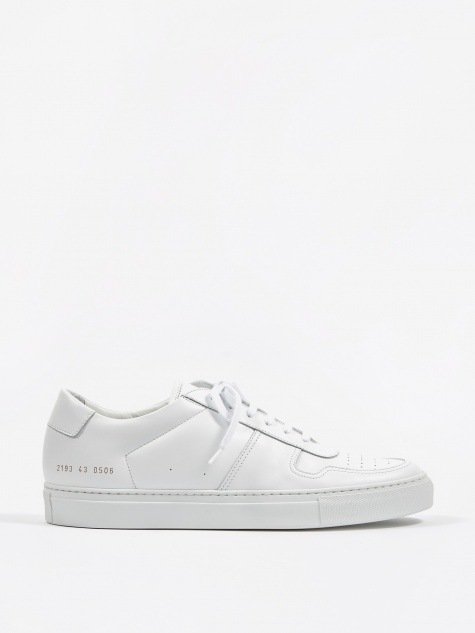 The idea for a premium sneaker was conceived in the late 1990's in New York, where the duo were looking to bridge the gap between big name brand sneakers and luxury high end brands like Gucci. 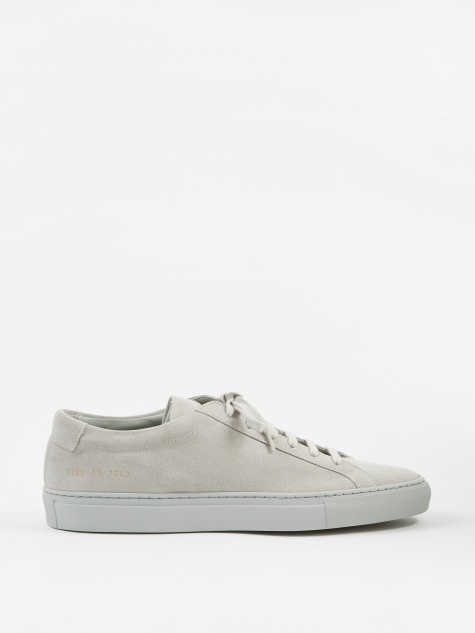 Production of their first shoes, the Achilles, began in 2004 at a factory in North East Italy. 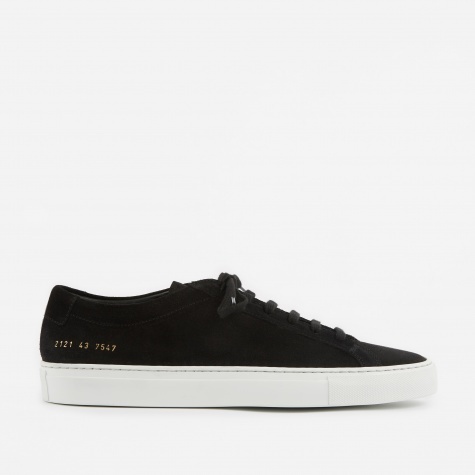 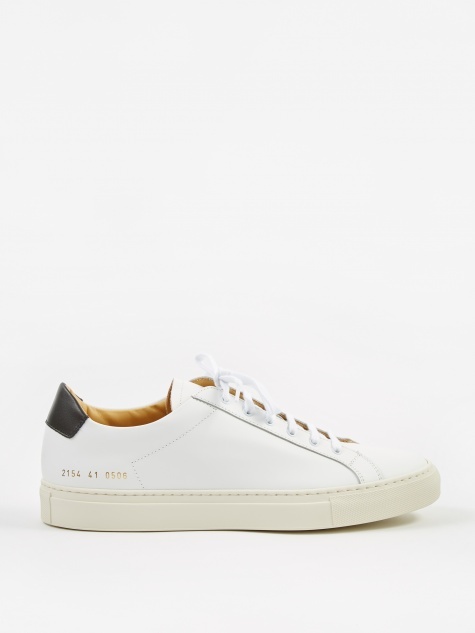 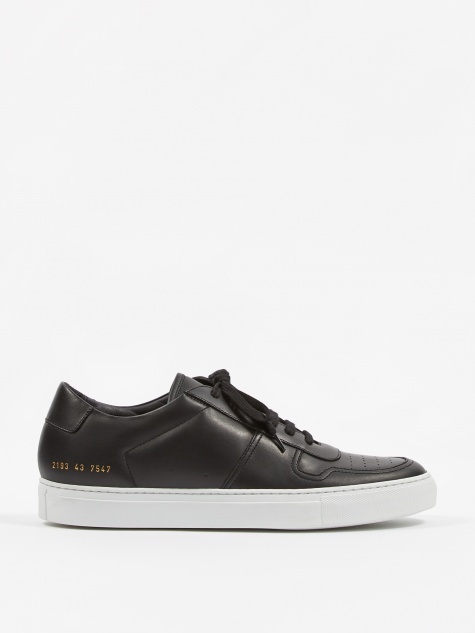 Twelve years on from their debut season, Common Projects are creating new minimal silhouettes and premium classics. The gold stamp detail featured on each shoe is a signature, signifiying the serial number of the style combined with the european size. 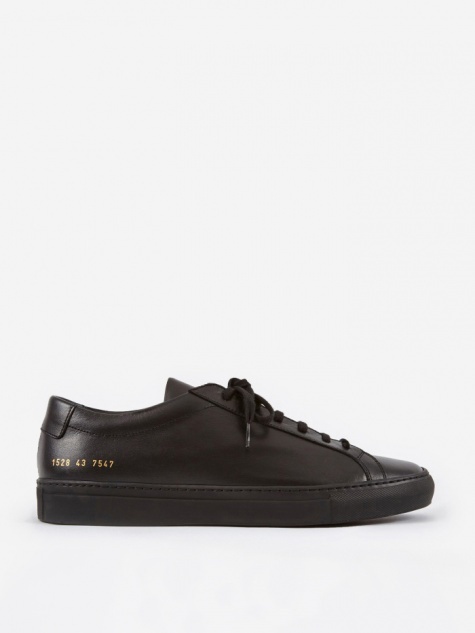 All the products are made by hand with fine Italian leather or suede.